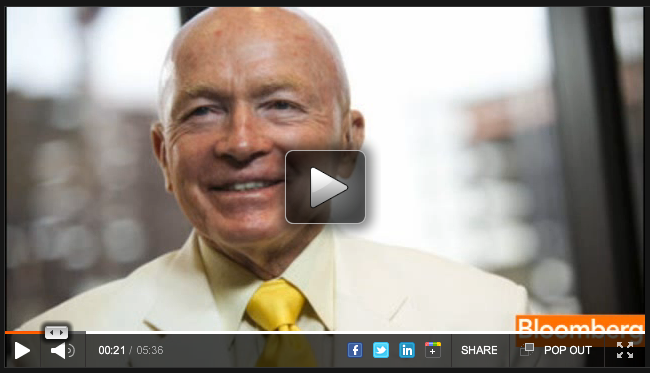 Templeton Asset Management’s Mark Mobius says emerging market stocks are in a “sweet spot” valuation-wise. Mobius tells Bloomberg that on average EM stocks are trading for just 10 times earnings, a very low figure when compared to historical norms. He says he’s particularly high on equities in China, Russia, Turkey, and Thailand, and African frontier markets. Mobius says he likes consumer and service stocks in China, and discusses why he thinks China isn’t headed for a hard landing.